Although we do love the industrial look the grey colour gives, we also offer a range of colours using the various dyes that we have at our disposal. 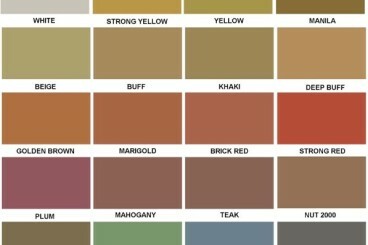 Click on the colour swatch to take a closer look. The finish we apply very much depends on the environment. A bartop will require a different finish to a piece of furniture. A funky outdoor seating installation will be subject to different conditions to a bathroom vanity top. We use sealers, impregnators and further special products in various combinations to achieve the desired finish and protection. With texture its an obvious choice to go for smooth and polished. But what's the point in having concrete if it looks like a benign slab of nothingness! 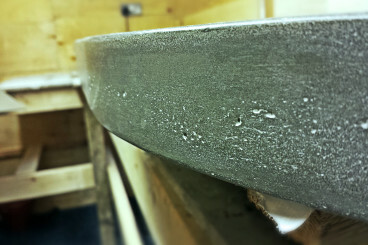 During the manufacturing process the concrete develops its own unique patina and will never be featureless with one continuous colour. Also pinholes can form which we generally fill for top surfaces which are "in service". However on edges of products we often leave pinholes at the client request to give a more industrial appearance. 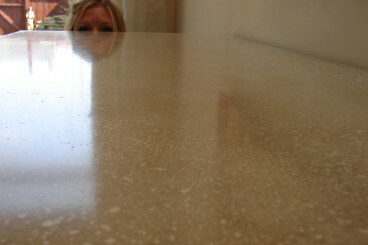 Once sealed and polished we love this look, but of course the customer is always right!